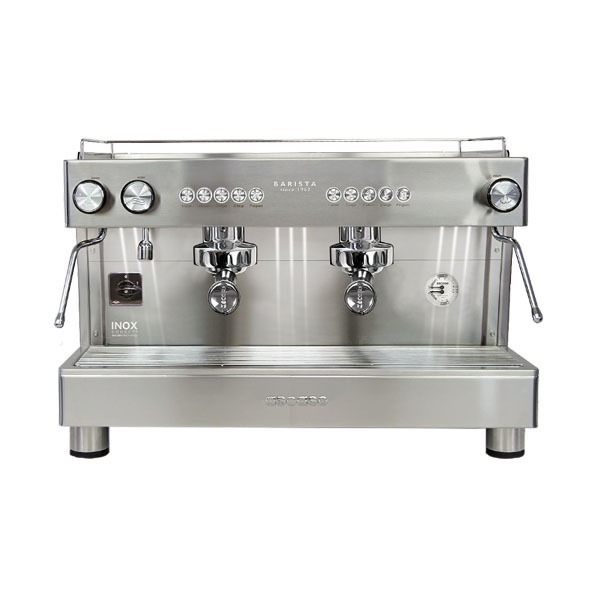 A professionally designed coffee machine for the commercial market. 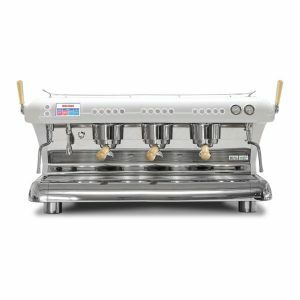 The Barista comes with an insulated stainless steel boiler as standard and makes full use of new green technology, meaning lower maintenance and energy costs. 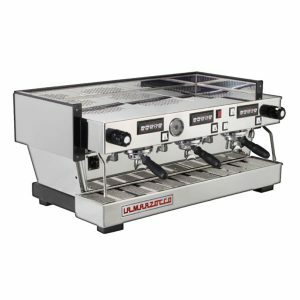 The Barista is among the most energy-efficient commercial espresso machines on the market today. 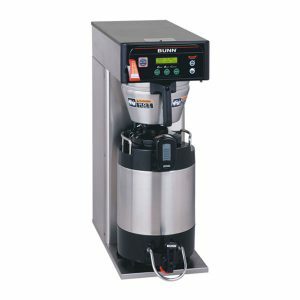 In tests, the Barista reduced energy output by over 30 – 40% compared to machines with traditional copper boilers and parts. The stainless steel also has the benefits of anti-limescale, is 100% food safe and has a high mechanical resistance. It guarantees a quality tasting espresso with no migration of heavy metals to the coffee infusion. Designed by baristas and technicians together. Easy access to internal valves, pipes, pumps and heating elements. A combination of modern design (black and wood, white and wood or stainless steel) with the classic E61 group head manufactured in lead free brass. Available in one group to three group models.